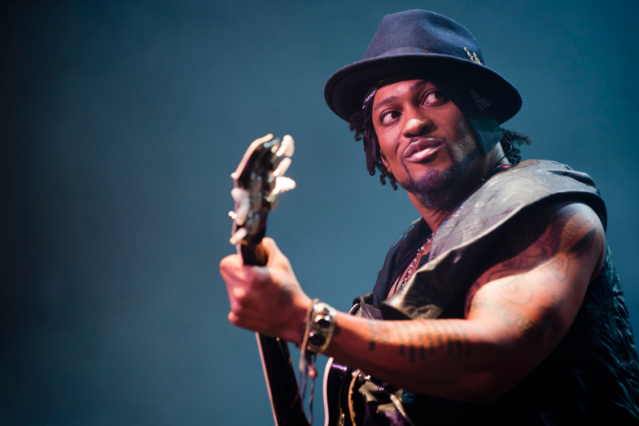 Rejoice, world, for D’Angelo has been doing even more than tossing back seafood and smoothies in the studio in the few months since he reappeared after 12 years in Stockholm in January. He’s been preparing his live U.S. comeback — the ephemeral neo-soul bad boy will reemerge from the shadows in America for the first time in ten years in New Orleans on July 6 at Essence Music Festival, according to the festival’s website (via Billboard.biz). Essence, which runs July 6-8 at venues throughout the city, over 422,000 attendees last year, when the headliners included Kanye West, Mary J. Blige, and Jill Scott. If you haven’t yet, reading our breakdown of what the hell happened to warrant D’Angelo’s decade-long break is highly recommended. You know, for clarity.